Online Auction Starts Friday, July 20th at 6:30 p.m. This sale has a little of everything for everyone! 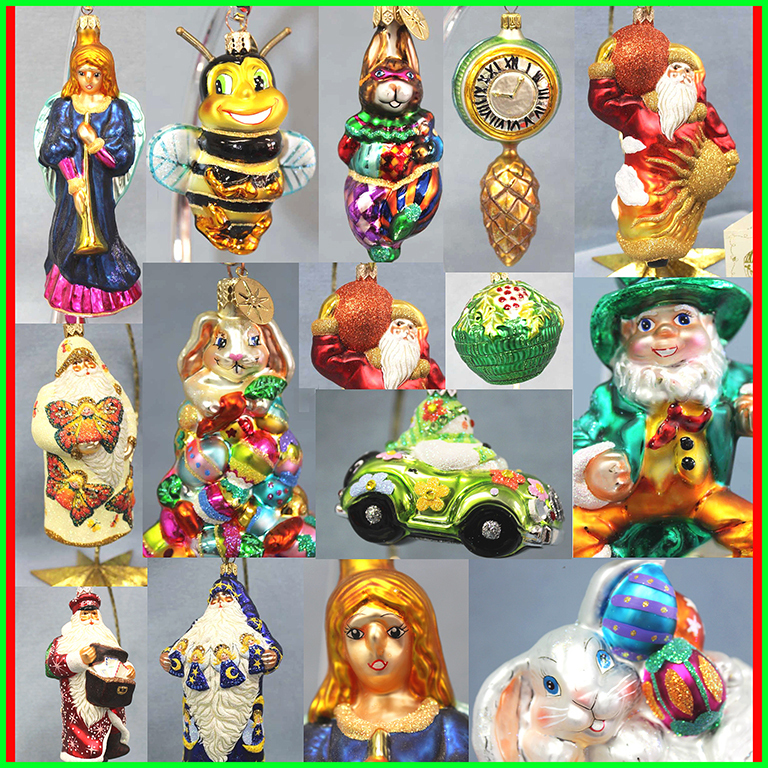 vintage Christmas decor, and garage items! This sale has a little of everything for everyone! From Mid Century Modern furniture to all the tools and garage items! This Spring estate sale has a wide collection of antique French furniture, silver, porcelains, mirrors, artwork and more! Including artwork from framed needle points to oil on canvas paintings. Many great pieces of all sorts! Everything starting at $1.00 Register to bid today! Pickup is strictly Saturday, May 19 from 10 AM - 2 PM. Good luck bidding! 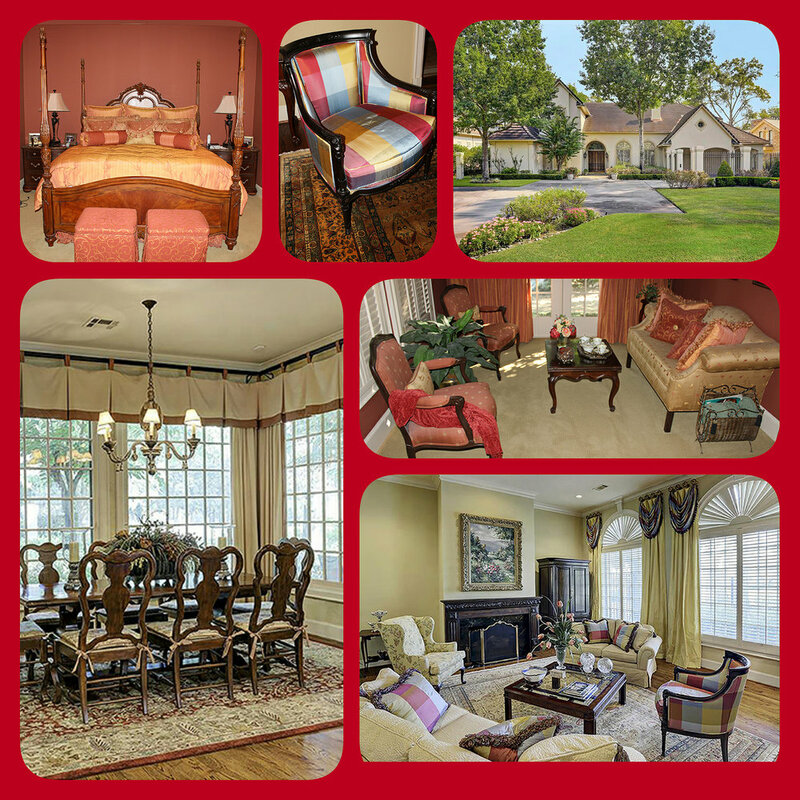 Fabulous finds located just south of I-10 in the Energy Corridor. MANY more photos coming soon! Our client, the owner of these antiques was the proprietor of a 10 room Victorian mansion turned bed and breakfast. Her dream is to start fresh I n Georgia. This means her antique furnishings and collectibles can be yours! Join us for this online auction that features a variety of beautiful gems in many cuts and colors. This estate auction includes Topaz, Tanzanite, Tourmaline, Alexandrite, Spinel, Zandrite, Imperial Zircon, Apatite, and more. These gems are perfect for your custom jewelry and come in many sizes from .50 ct to 14 ct. With most gems starting at only $5, you don’t want to miss this auction. Join us for this online auction that features a variety of beautiful gems in many cuts and colors! This estate auction includes Topaz, Tanzanite, Tourmaline, Alexandrite, Spinel, Zandrite, Imperial Zircon, Apatite, and more. These gems are perfect for your custom jewelry and come in many sizes from .50 ct to 14 ct. With most gems starting at only $5, you don’t want to miss this auction! View Online Catalog and Register to Bid Here! 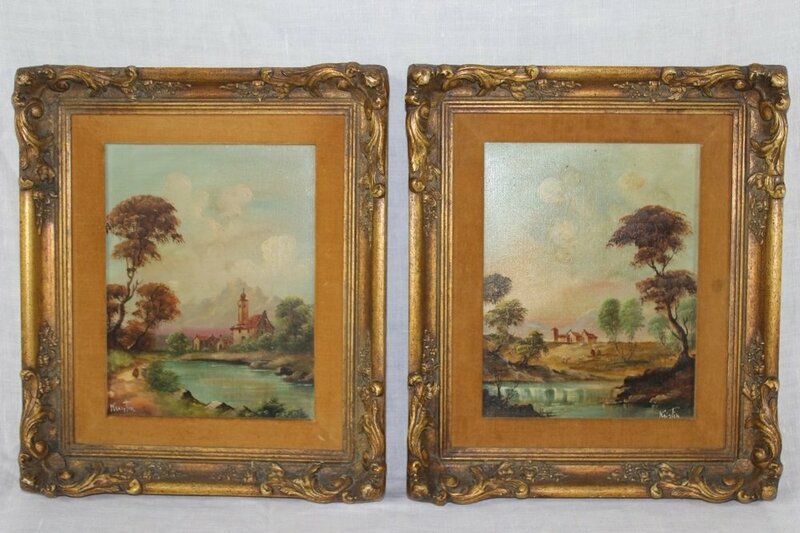 A great selection from antiques to fine art and in between! Don't miss this chance to own some wonderful items! Many quality items in this sale! Everything starts at only $1 and will sell to the highest bidder! You don't want to miss out on these great opportunities! This home is full of fine collectibles from Sterling Silver to Hummel. Antiques to garage items. Many more photos to come but mark this one on your calendar as it is one not to be missed! Join us online Friday, March 9th at 6:30 PM. Everything must go and will! All items start at $1 and sell to the highest bidder. Many treasures in this sale have your name on it! Thank you for your interest and good luck bidding! So many great antiques in this sale! This is one not to miss! Come buy a great piece at a great fair price. See you at the sale! PREVIEW IS MONDAY, FEBRUARY 5th FROM 10 AM - 4 PM! Join us for this online estate auction featuring many semi-precious stones! Stones featured include Lapis, Adventurine, Agate, Turquoise, Tiger Eye, Quartz, and many more! These stones come in necklaces, bracelets, pendants (in Sterling Silver and 18K gold filled), strands, and beads! Perfect for the amateur and professional jewelry maker and gemologist! Register to bid today! Everything MUST and WILL go starting at only $1.00! With this No Reserve Online only auction there are many great items like Llardro, Waterford, tools, antique furniture, decorative items and so much more! Dont miss out Friday at 6:30 PM. Pickup is Saturday from 9 AM to Noon. Items left after noon are forfieted as the home is sold and changing ownership. Good luck bidding and we look forward to seeing you at pickup! Join us for this great opportunity to own some wonderful collectibles! Weather you are looking for fine china, Llardro, Waterford, hand blown art glass, Sterling silver, Lots of jewelry, Antiques, Fiestaware, many fine rugs and lots of furnishings or one of any tool you may need, this estate sale has everything you are looking for. All PRICED TO SELL! Dont miss this one! Camping equipment and an accealies inflatable boat are also available! Many box lot items and nice collectibles. This is a great selection of all things Holiday! From fine art and Spode China to Christmas lighting and designer decor such as Christopher Radko and Patricia Breen. Everything starts at $1.00! A very nice collection of fine antique glass, Imari and Famille Rose China, Silver, dressers, mirrors, clocks, rugs, vintage board games, garage items, tools and much more! A very nice collection of fine antique glass, Imari and Famille Rose China, Silver, 3 bedroom suites of furniture, patio furniture, dining room furniture, antique photographs, clocks, rugs, vintage board games, garage items, tools and much more! Join us in supporting the children of our communities. Advantage Auction is donating 100% of Buyers Premium to St. Jude Children's Hospital. If you choose to donate your bear(s) to children who were misplaced from hurricane Harvey, we will waive the Buyer's Premium of the bears we donate on your behalf. Whatever you choose to do with your purchases is up to you. There are collectible bears from Gund, Steiff, Boyds and Marie Osmond in this sale. More Items to be added as well! This is a warehouse clean-out as we are moving locations and everything must go! With that said, pickup is very stick so please know if you leave your items they will be fortified and donated. Join us online Friday, September 22 at 6:30 PM for this great estate auction from Fine 19th C. Paintings to solid wood furniture, designer accessories and so much more! There are thousands of items left at this sale. Join us Sunday September 17th from 10 AM - 2 PM. This is an eclectic downsizing estate sale with thousands of items priced to sell! Many items of great quality and all will be sold! Items must be picked up Sunday, September 10th between 3 PM - 5 PM or Monday, September 11th between 11:00 AM - 2:00 PM. Items left after Monday at 2:00 PM will be charged $5 per lot per day. A great mix of traditional furniture, antiques and a beautiful selection of 19th Century oil on canvas landscape paintings. A great selection of items from The Woodlands moved to our facility! Final Day Savings! 25% Off all remaining Furniture of these already LOW Priced items! Sunday Aug. 6th from 10:00 a.m. to 2:00 PM. 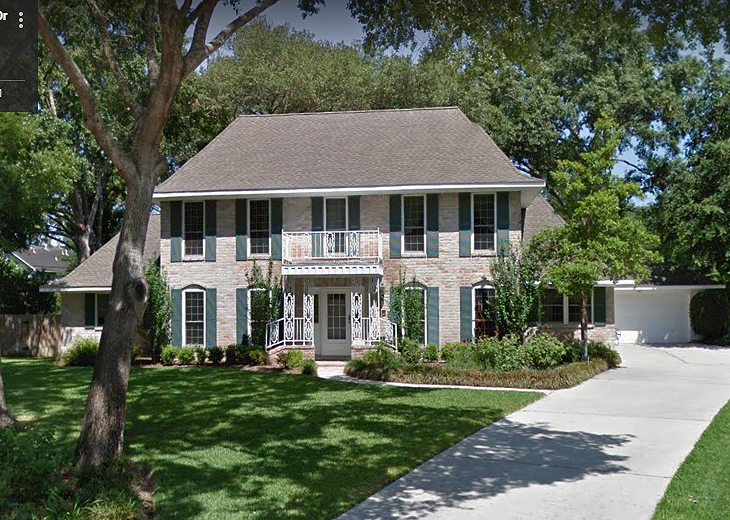 7,000 sq ft home, located just off Champion’s Dr. on the Champion’s Golf Club, has beautiful quality pieces available to the public. Items for sale include high end furnishings in lovely French style, rugs, mirrors, artwork, lighting, fine porcelain, and cut crystal. Also included are books, tv’s, and garage items and tools. You don’t want to miss this sale! We have secured another great collection from The Woodlands. These estate sale items have been brought to Houston for online auction. Items include Fine oil on canvas paintings, cut crystal, Wedgwood, Asian porcelain, Waterford, Baccarat, crystal Wedgwood stemware, Orrefors, Lalique, Llardro, sterling silver, antique clocks, rugs and more.